This Changes Everything, a pivotal documentary examining historic and contemporary gender inequity in the American film and television industries, will open the 36th edition of Miami Dade College’s acclaimed Miami Film Festival, on Friday, March 1st at the historic Olympia Theater. 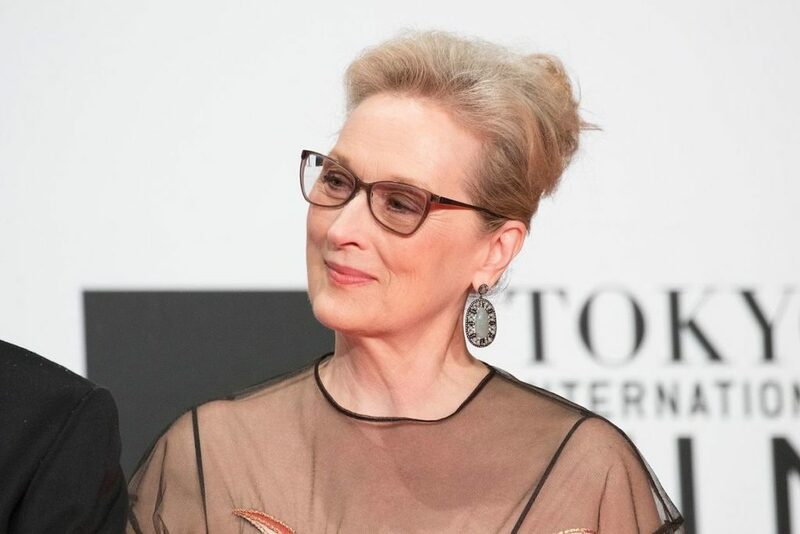 Appearing on camera are leading Hollywood women Meryl Streep, Geena Davis, Sandra Oh, Rosario Dawson, Zoe Saldana, Jessica Chastain, Taraji P. Henson, Cate Blanchett, Amandla Stenberg, Natalie Portman, Reese Witherspoon, Shonda Rhimes, Jill Soloway and many more advocating for meaningful change. Golden Globe-winning actress Patricia Clarkson will receive the Festival’s Precious Gem Award on Monday, March 4th at the historic Tower Theater Miami. The Festival will debut the Knight Heroes, with a focus on the emerging new generation of South Florida moving image content creators, three bold and bright talents will share their insights, observations and advice about their creative paths and future outlooks in a two-hour in-person session at Olympia Theater. The inaugural edition of Knight Heroes features Oscar-winning, Miami-born filmmaker Barry Jenkins (Moonlight, If Beale Street Could Talk), award-winning filmmaker Boots Riley (Sorry to Bother You) andAaron Stewart-Ahn, co-writer of the acclaimed break-out hit Mandy. In all, the Festival runs March 1st to 10th, and will present more than 160 feature narratives, documentaries and short films of all genres, from more than 40 different countries. The Festival will wrap up with an Awards Night Gala event at Olympia Theater, and the North American premiere of Spanish director Enrique Urbizu’s Gigantes. The World Premiere of Singular, a documentary love letter to internationally-renowned, Miami-born jazz singer Cécile McLorin-Salvant, by American filmmakers Dennis Scholl and Marlon Johnson. The Extraordinary Journey of Celeste García, a Cuban-German coproduction and the directorial debut by acclaimed screenwriter Arturo Infante, a magical and joyous fantasy adventure starring beloved veteran actress María Isabel Díaz Lago. The US Premiere of The Accused from Argentina, starring Lali Espósito, Gael García Bernaland Leonardo Sbaraglia, directed by Gonzalo Tobal. The enthralling drama, a Mexican co-production, will compete for the Festival’s Knight Marimbas Award, and was supported in development by Miami Film Festival’s Miami Film 2016 fund. The World Premiere of Huracán, a made-in-Miami psychological thriller set in the demanding world of the professional MMA circuit, the directorial feature film debut by Miami native Cassius Corrigan. Preceded by the world premiere of the short film “The Rafter” by Jose Navas. The Opening Night Film of the Festival’s signature Knight MARIMBAS Award competition, will be the World Premiere of Dominican Republic filmmaker José María Cabral’s The Projectionist, the highly-anticipated follow-up to his 2017 international breakout hit, Woodpeckers (Carpinteros). Also competing in the program is Tobal’s The Accused and Julio Hernández Cordón’s Buy Me A Gun; an earlier work by Hernández Cordón won the Festival’s top prize in 2011, Marimbas From Hell, and it is for that film that the category is now named – representing deep and rich resonance for cinema’s future. These films join the Knight MARIMBAS Award nominees from the Festival’s fall GEMS program: Animal (Argentina/Spain, Armando Bo), Ben is Back (USA, Peter Hedges), Birds of Passage (Colombia/Denmark/Mexico/France, Cristina Gallego & Ciro Guerra), Border (Sweden/Denmark, Ali Abbasi), Burning (South Korea, Lee Chang-dong), El Ángel (Argentina/Spain, Luis Ortega) and Petra(Spain/France/Denmark, Jaime Rosales). The Accused, Buy Me A Gun, Divine Love, Florianopolis Dream, The Good Girls, Helmet Heads, Juanita, The Projectionist, Tremors and Yuli will additionally compete in the HBO Ibero-american Feature Film Award competition. Stanley Nelson, three-time Emmy Award winning documentarian and National Humanities Medal recipient, presenting his new Sundance-selected documentary Miles Davis: Birth of the Cool. The Opening Night Film of the Knight Made in MIA Award feature film program will be the World Premiere of the new Rakontur production, Billy Corben’s Magic City Hustle, an eye-opening look at some unexpected players in Miami’s gig economy. Magic City Hustle will screen on March 2nd at Tower Theater Miami as one half of a double-header that also includes the Miami premiere of Screwball, Corben’s expose of the Major League Baseball doping scandal that had its origins in Miami in the earlier part of the decade. Also competing for the feature film prize is Scholl-Johnson’s Singular and Corrigan’s Huracán. The Great Mother, Magic City Hustle, The Mamboniks, Miami Basel: Art’s Winter Playround, Pahokee and Singular will additionally compete for the $10,000 Documentary Achievement Award. The Opening Night Film for the Knight Made in MIA Award short film prize will be the North American premiere of Faren Humes’ “Liberty”. These films join the HBO Ibero-american Feature Film Award nominees from the Festival’s fall GEMS program: Champions (Spain, Javier Fesser) and Dry Martina (Chile/Argentina, Che Sandoval). These films join Jordan Ressler First Feature Award nominees from the Festival’s fall GEMS program: Boys Cry (Italy, Damiano D’Innocenzo and Fabio D’Innocenzo), Diamantino (Portugal/France/Brazil, Gabriel Abrantes and Daniel Schmidt), The Heiresses (Paraguay/Uruguay/Germany/Brazil/Norway/France, Marcelo Martinessi), and Hopelessly Devout (Spain, Marta Díaz de Lope Díaz). A significant night in the Festival’s popular Soiree Series will be the world premiere of the made-in-Miami feature film Vandal, directed by Jose Daniel Freixas and starring Juan Pablo Raba, Daniel Zovatto, Beau Knapp and Richard Schiff. The Inferno Unseen + LIVE MUSIC by Rollo Smallcombe. Henri-George Clouzot’s The Inferno is one of the most tantalizing uncompleted projects in film history. This is a newly edited assemblage of rushes filmed in 1964. The Art of Fashion Film. Focusing on contemporary fashion film as a means of investigating the properties of both dress and cinema, this program highlights the great potential of this burgeoning form to enrich and challenge established conventions of fashion and beauty imagery. Followed by a panel discussion chaired by Christian Larsen. The fiercely-contested, audience-voted Documentary Achievement Award, will be chosen from among 29 finalists making their Florida premieres, including opening night presentation This Changes Everything, Marquee night presentations Toni Morrison: The Pieces I Am, Miles Davis: Birth of the Cooland other films. Subjects featured in the films include Toni Morrison, Mike Wallace, Miles Davis, Dr. Ruth Westheimer, Fernando Botero, Alexandria Ocasio-Cortez, Pauline Kael, Dr. Paul Watson, Norman Braman, Craig Robbins, Jorge Perez, Cécile McLorin-Salvant, Nora Sandigo, Angela Davis, Erik Weihenmayer, Speech (Arrested Development) and many more. The Weight of Water joins the nominee from the Festival’s fall GEMS program, Champions (Spain, Javier Fesser), and “My Daughter Yoshiko” from the Knight Made in MIA Award category to compete for the Festival’s $5,000 Zeno Mountain Award, a group of films which celebrate the diversity of abilities and disabilities. A new award for 2019, the Alacran Music In Film Award was created to celebrate the artist and individual behind the composition of a film’s music score and highlight the importance of music in film. “I Signed The Petition” (UK/Germany/Switzerland, directed by Mahdi Fleifel).